Do you know how much money you need to save right now? If not, how does not knowing about this affect you? How might it affect you in the future? How to become a successful Investor? Take time to know about Financial Planning. Before that what do you think about Financial Planning? Financial planning is a well-defined process of meeting your goals through the proper management of finances. When was your first visit to Financial Planner and do you have one? Do you track your own Finance? Do you have control over money? Are you putting a conscious effort to save more for the future? If your answers for all the above questions were ‘Yes’, then you are absolutely safe, you have a good Financial Life. To set up a financial goal is extremely easy but to stick to the commitment matters. It is not just making an investment and leaving it unattended. Reviewing it regularly shows your commitment. It is not about just setting up a financial goal and not doing anything to achieve it or leaving it in the halfway. Taking the necessary steps to achieve the financial goals by implementing the financial plan at every stage shows your commitment. Do you choose the best one or right one? I get a lot of questions from investors like… Which is the best investment? Which is at less cost? Let us take this example… When a patient approaches a Doctor, what does the Doctor do? He starts to investigate and analyze the patient and then he prescribes medicines according to the patient’s health condition. Which means, medicines may differ from person to person based on their health conditions. Likewise, in personal finance, it is more important to choose the right investment rather than the best investment. You may have the question of How to choose the right one? 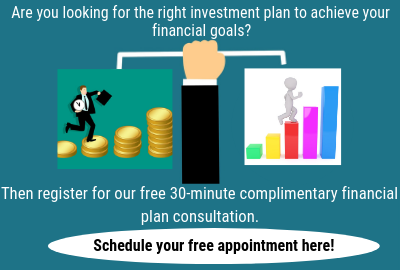 A professional financial planner can assure you to choose the right type of investments by doing a thorough analysis of your financial situation and recommending the right financial strategies and investment schemes based on that. Usually, people take up advice easily but find it difficult to implement their plan. Investors take advice from financial planners which are only 20% of the process and the rest 80% is based only on his ACTION to implement the financial plan. Let me ask you something! What happens if you implement your financial plan? Will you be living a debt-free life? Will you be a proud Dad on your daughter’s wedding? Will you be enjoying your retirement life? Will you able to fulfil your dreams? It is all in your hands. If you have not implemented now, then you may have to compromise on your retirement or you may not be able to become debt-free at the right age. Decide. Do you want a compromised lifestyle or fulfilled lifestyle?? As you think, ‘Yes’, Financial Planning is about the future and also more about your present. A quite lot of investors and advisors are not aware and still, think that Financial Planning is all about the future. Actually, it’s all about designing and moulding your present to attain the best in the future. As we also know the story of Ants and Grasshopper by Aesop’s Fables.“It was a hot summer day, a Grasshopper was hopping, playing, singing and dancing with all his heart. He saw an Ant passed by, carrying an ear of corn to his nest for the winter. “Why to bother about winter, it is still far away,” said the Grasshopper, laughing at him. But the Ant went on its way and continued its toil. Are you going to be an ant or a grasshopper? Decide! Do you think your savings now is enough for your future? Future is very unpredictable. No matter how hard we try, you cannot really predict what is in store for you in the times to come. However, what you can do is to prepare yourself for it with the best of your abilities. 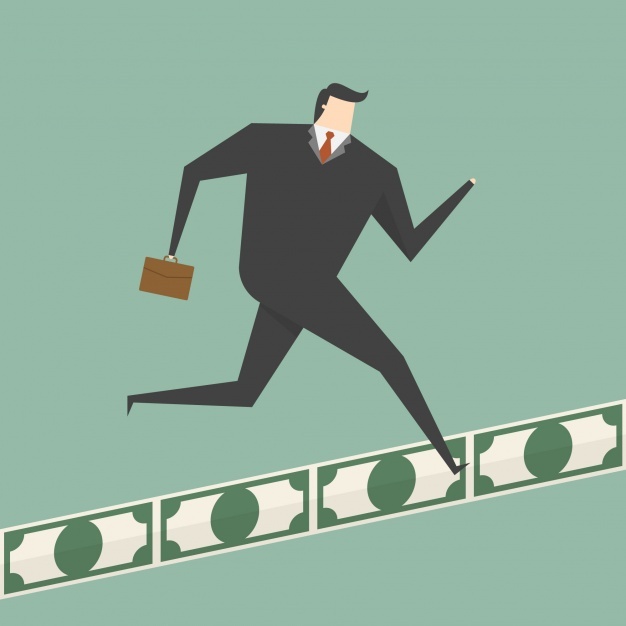 Investors expect assurance whenever they get into an investment. People usually don’t have assurance on their investments. Let us take this example, a boom and bust cycle is the process of economic expansion and contraction that occurs repeatedly. During Boom, the market brings you high returns and during Bust, the investor has to face the uncertainty. Hence, it is impossible to assure you that when will be a boom and bust happen, as an investor you need to embrace the uncertainty. To make it possible every investor should have the strength to face the uncertainty and equip themselves in a proper way. How can you get the strength to face the uncertainty? Having a complete and comprehensive financial plan will help us to build muscle and face every kind of situation in our life. A financial plan is like a lighthouse and it guides us throughout our financial life. 6. The journey is more important than where you end up. Are you taking the right steps for achieving that? Are you moving on the right path at the right speed? If ‘Yes’, then why do you need to worry further? For example, when you begin for a vacation, you might open a mapping app and start calculating the best route to your destination. Meanwhile, you also search for restaurants, stores or entertainment along the way. The planning instils a sense of excitement and becomes an integral part of the journey itself. Likewise, the personal financial plan also a journey of wealth and enjoying the process throughout your journey matters. Are your goals focused on your years in retirement? Are you trying to anticipate the needs of a growing family? Taking the right financial steps and organizing it right now will make you financially successful in the future. Financial Planning is not about the end or destination of financial life, it is all about the Journey. There are two sets of questions to evaluate your approach towards your financial life. i)	How elections affect my stocks if I invest now? ii)	Should I need to change my portfolio, if the fund manager quits the job? iii)	Should I invest in Gold now since the price keeps on increasing? i) How much I need to invest now for children’s education? ii) How much I need for my daughter’s wedding? iii) How much I need to save every month for retirement? Which one you will choose? The first sets of questions are those people who think from outside-in i.e. focusing on the external happenings in the financial world and invest by that. Most of these happenings are completely out of your control. But the second set implies, inside out approach. They identify what they have and what they have to do to move forward. They will focus on what is under their control. 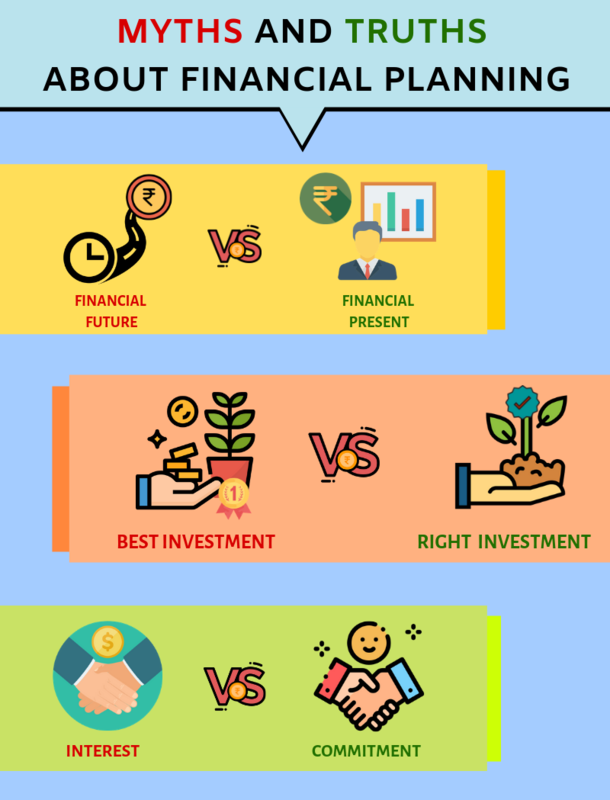 By creating a financial plan which is based on inside out approach (taking care of your requirements completely), you can easily fight out the external happenings in the investment world. 8. Long Report? Short Report? Do you prefer your financial documents to be lengthy or short? Will it be manageable if your financial plan is around 15 – 20 pages? I know! People will be bored and annoyed to read a lengthy document. What if it is short with fewer contents? Will that be useful? It is very important that a financial plan report needs to be simplest and easy to understand. The simplest financial plan report is something that matters to the client, easy for them to understand and better their financial lives. How much money do I need and when? How much risk can I take? It is better to have good clarity on what you invest and how much you invest. A financial plan can tell you very clearly where you are financially and where you need to go financially. Do you want to lead a regret-free financial life? If yes, then, instead of trial and error approach, you may please learn from the common mistakes other people commit. In our 2 decades of experience in financial planning, we have again and again seen investors making these mistakes commonly. It is always better to learn from other people’s mistakes. i)	Do you have proper Financial goals? Can you answer these questions…? How much you need for your second home? How much you need when you retire? How much you need for your kid’s education? How much you need to save for your daughter’s wedding? If No, then think a minute what are the steps to be taken. Rohit was recently promoted earlier this year as Director of Engineering for a very large oil and gas exploration firm in Bangalore. His salary is Rs.20,00,000 per year plus substantial bonus opportunities and equity share of the firm. Jhanvi is a graduate of some art college specializing in health care issues. She has worked as a consultant and now she is a full-time mom. They had certain financial goals for their life. They didn’t have just vague goals. They had very clear, specific and detailed goals. They worked towards the financial goals meticulously when they were working and earning. And now, they are devoted to their family and live well within their means. They have accumulated a substantial balance in their portfolio. As a family, they enjoy camping in the mountains of Himalayas and also they do a few foreign trips every year. Do you want to live a happy life like them? Then set a goal for your financial life with the guidance of Financial Planners. ii)	Are you one who addicted to credit money or loans? Research shows, that we feel less guilty when we pay with our credit cards rather than cash. When we use cards, we don’t see money going out; there’s just a consolidated bill at the end. Nothing can be done then, you just pay it. Imagine you are paying cash every time you are buying something you really do not need. We buy unwanted clothes, & unnecessary gadgets we can do without. 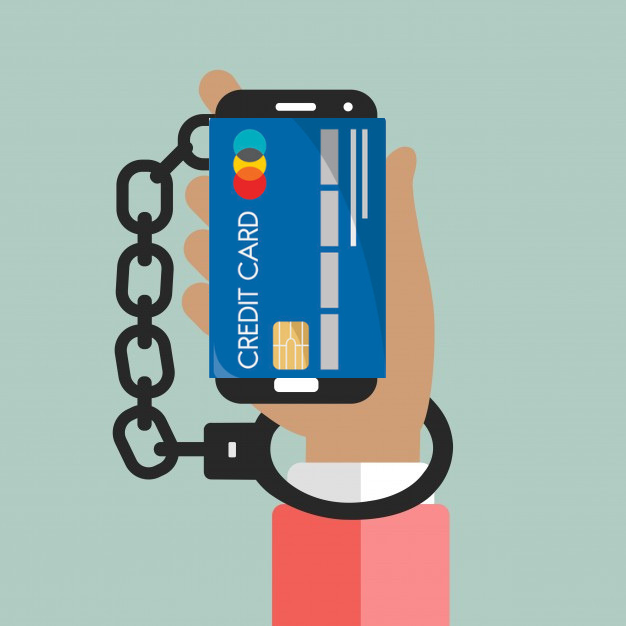 How many of us claim, sometimes that we just can’t survive without a certain device, or feel that we can’t enjoy our life without a certain device? Didn’t our parents and the old generation live without them or with limited quantities? Yes, but there are people in recent times, they spend money as if there is no tomorrow. Most of the companies make tempting offers to attract people which lead to spending more. If you are buying things with EMI offers or through a personal loan, slowly you need to come out of it and stop it at one point. It always gets into a debt trap. Then you may have to regret later. Karthik plans for a long trip to Goa with his family. He packs 5 heavy trolleys and 6 small bags full of clothes and other personal stuff. Will he be able to enjoy the trip? Will he need to focus more on the luggage as he has too many luggage. His journey was ruined because of his luggage. Similarly achieving your financial goals is a long journey. You need to move from where you are financially to where you need to go financially. Do you think too many financial products will make your financial journey more comfortable? If so, are they performing well? It is better to review now and analyse all your performing and nonperforming investments. Based on your analysis, you can take a decision to retain it or redeem it. People are confused and they pick too many financial products and invest in multiple fixed deposits, RDs, LIC policies, mutual fund schemes, bonds… It may result in a dilution of returns instead of diversification. You can select a few performing schemes that can support your financial goals. iv)	Free Advice! Do you think it works out? Avoid investing based on free tips/advice and do your own study. Likewise, there are also few Insurance agents who advertise about Financial Planning for free. Do you know that we are paying them indirectly more? Do you know that those are not free? Yes, we pay them indirectly and we are charged in the form of commission every time. We pay them more and get biased advice. What do you think now? Do you still want to go for it? Instead of paying Insurance agents indirectly more for biased advice, you can approach a financial planner for paid and unbiased advice which helps you achieve all your financial goals. 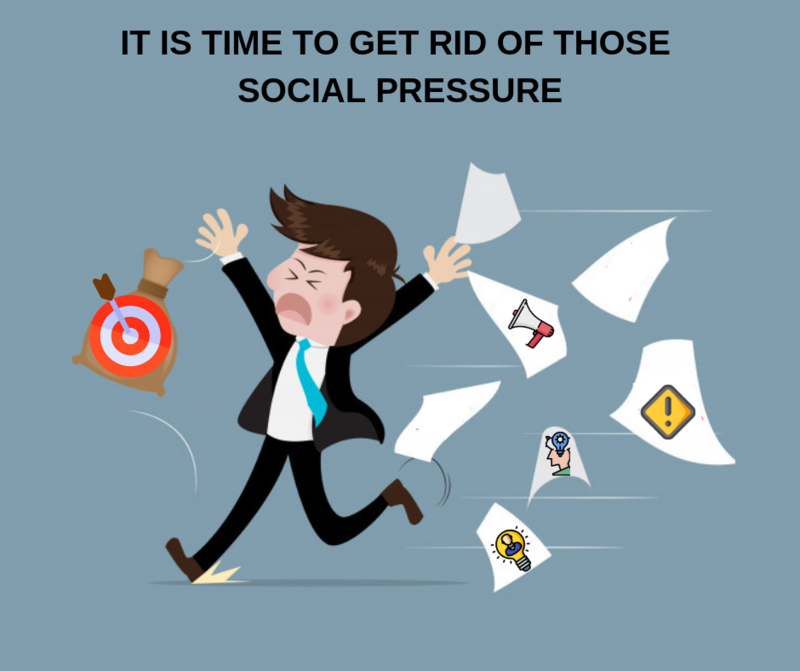 v)	It is time to get rid of those social pressure! Have you ever sat down at a restaurant, reviewed the menu, wanted to leave but stayed anyway? Did you stay because you didn’t want anybody to think that you were a cheap tight-wad? Did you ever go shopping with a friend and bought clothes that were too expensive? Did you do this because you didn’t want your friends to think less of you? When buying your car, you paid attention to the requirement of your family or paid more attention to the range of cars your colleagues and neighbors have? Are you financial decisions influenced by social pressure from relatives, neighbours, colleagues..? Listen, no one is going to come to fund your retirement or financial goal. vi)	Instant Gratification – Advisable or not? Do you think investing in the short term will secure your future? Are you one who needs short term investment? Do you want to spend now and enjoy life now or want to save that money and enjoyment for the future? It’s a natural human urge to want good things and to want them NOW. We always go for an Instant gratification or short term investment which may not secure our future in the long run. Short term investment is not a good idea for your long term goals like retirement. Remember, even every mother has to wait for 10 months to deliver her baby. You are going to have a retired life of approximately 20 years. You will not earn much during your retired life. If you are focussing on instant gratification now, then in these 20 years of retired life, you may be forced to lead a compromised lifestyle. Be Smart and Invest for Long Term. Instead of instant gratification, delayed gratification is important. vii)	Do you still think DIY is for everyone? If so, then let us think more about this. Let us assume if someone is not well and if he is not going to a Doctor and just following DIY, will he be cured? If a person is not approaching a coach will he be a successful sportsman? If you don’t approach your Teacher and just learn by yourself, will you be a good learner? Similarly, there are experts to plan your personal finance too. Do you still think what will be the benefits of approaching them? 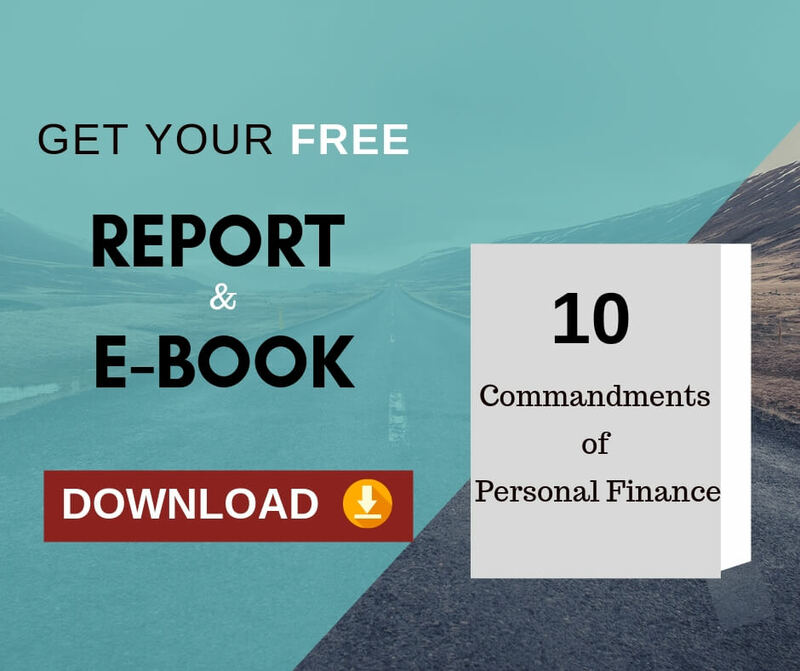 Financial Planners spend their life learning a lot about personal finance and how to manage it. They have a vast experience towards that. So, it will help you to save your time and gain their experience too. You are an expert in your field. If you are an engineer, then you know more about engineering than finance. So, if you hire an expert in personal finance, you can invest easily with less time. viii)	Don’t carry your past mistakes to your future. Krishna Kumar invested in the stock market. He holds a few shares of software companies. Due to a stock market crash, all his shares prices declined. Then, he was stubborn and did not invest in the stock market and chose other risk-free investments. After a few years, the prices of the stocks he held were doubled. Do you think did he took the right decision? We need to learn the right lessons from our past experience. We should not become extremist from a bitter experience. 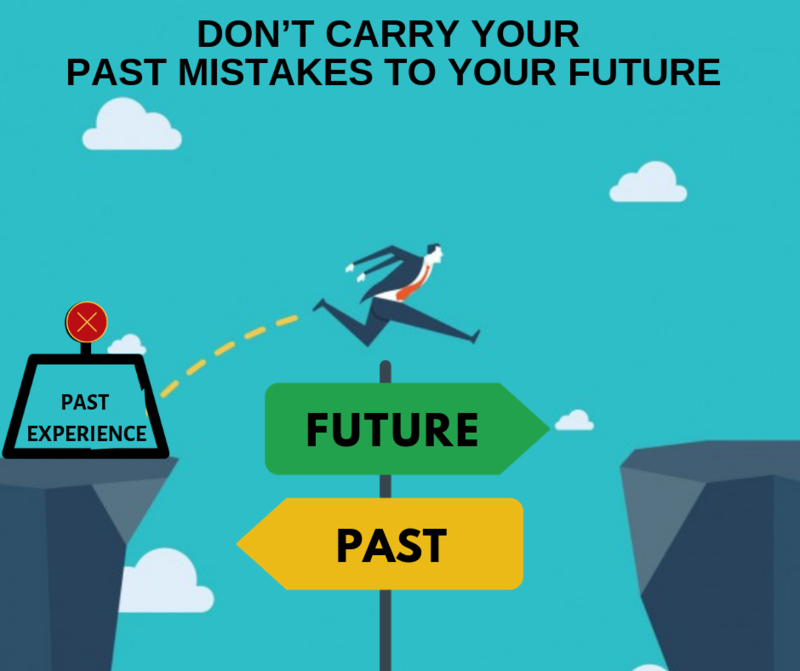 Never let your past experience to harm your future. “Make your money work for you, not the other way around”. What do you think which is the best? People usually spend more time on their jobs than valuing their net- worth. It is very important to work, but it is also much more important to value their money and spend their time to manage their money and investments. It is common that many people go for a job, spend all their time there. They think, just by working more and more, they will earn more and that will increase their networth. Your income will not translate into wealth automatically. Only if you manage your income properly, it can be translated into networth. Whatever money you earn should also work for you and build your net worth. Only if you save and invest money carefully, it will become a net worth in the future. Do you feel like being unique, then start planning for your financial life? Do you think, you can achieve 100% returns from a risk-free investment? Do you think, you will get 50% increment every year? Do you think, inflation will stop at one point? If you are not very careful and realistic about these assumptions, then your financial life will fail when one of such assumptions fail. Few people feel that they have good health and they are not in need of any insurance cover. “Good Health is a good excuse to skip Health insurance” is the worst thinking ever. Health is much more important than Wealth. You have good health. It is fine. But the future is unpredictable. Anything may happen to anyone… anytime. Being realistic and taking the best health insurance is worth. Are you one who has your old policies unattended? Do you still have those old LIC policies purchased by your parents? Any other policies for tax purposes? There are so many people who still have their old policies unattended. But that is one of the deadly mistakes made by the investors which take them to poor returns. It is not that all your unattended policies should be continued. It can be retained or surrendered based on their performance. You can review these old investments with the help of a professional financial planner. If you are convinced that they are performing and then you can retain them. If you find that they are underperforming, you can surrender them and reinvest in other performing investments. Do you know anyone felt this way? Not even one. 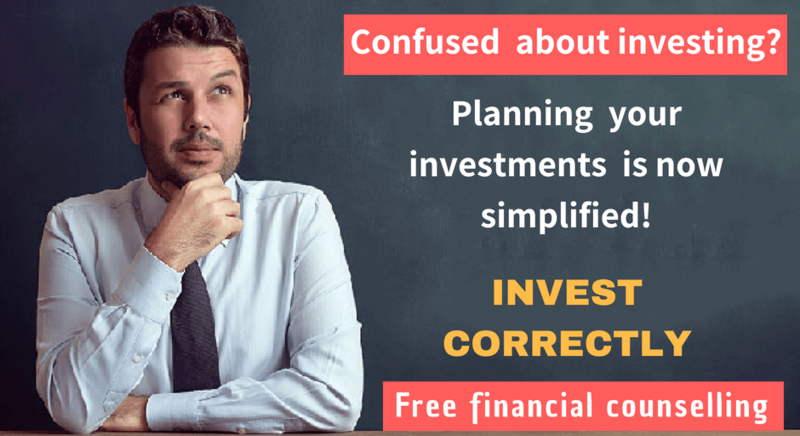 Only if we properly understand what is exactly a financial plan is and then avoid the common mistakes people do, we can accumulate enough money for future…including our retirement. Plan today to reach your financial goals faster and easier.